You’ve been given great feedback on your store so far, and now you’re trying to improve your SEO. 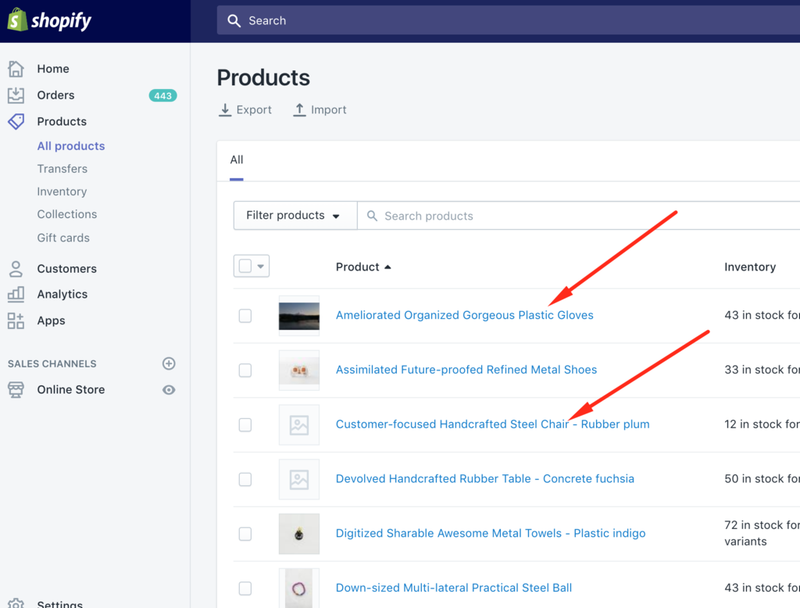 You know you need really good headings, and you’ve heard of H1, H2, and H3… What you want to know is how to fix your headings in Shopify because you see header errors in your scan. What’s the best way to go about adding in (or removing tags) and what should you use them for when it comes to products? Does putting keywords in the title actually make a difference? The answer is yes. While Google has no apparent problem with multiple header tags, they do use tags like that as a ‘semantic reference.’ That’s just a fancy way of saying that if you only have one H1 heading, the text has more influence than if you had five H1 headings. 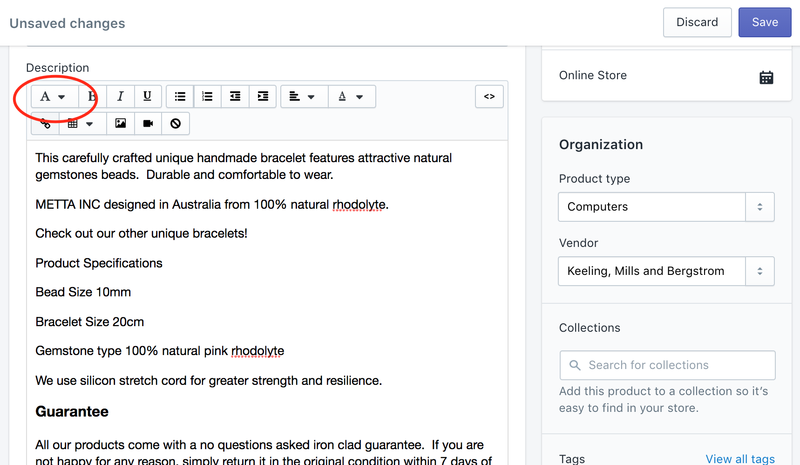 And in Shopify, the page title is the H1 title tag. In the old days, the bolding of text made it more important than the rest. So, some people bolded all of their content trying to make it all more important. Bolding all was a waste of time because having everything important means it’s also equally all the least important. Using headings meaningfully will help, but overuse doesn’t. Sticking with one H1 helps search engines identify the meaning of the whole page. While using H2, H3, H4 throughout the content helps define the sections of the page. And bold, italic, and links can emphasize that certain phrases are extra relevant. 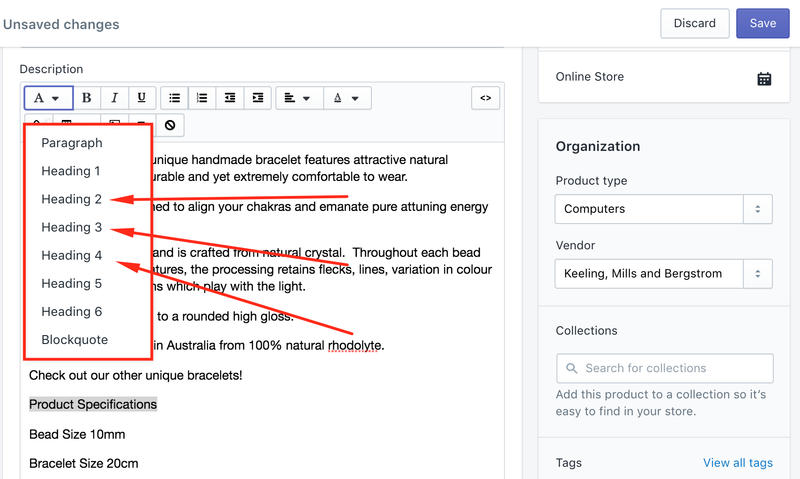 In Shopify, your page titles are used as the page’s H1 header tag. Additional headings throughout the product description serve as H2, H3…. they help define the sections. And your theme is required to have social media linking and sharing options so you can market your online store. 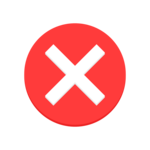 Regularly scanning your store to see what header errors you have can boost your site SEO; use our Uplinkly tool for scanning your store here. And if you find header errors, fix them in Shopify by following our guide below. 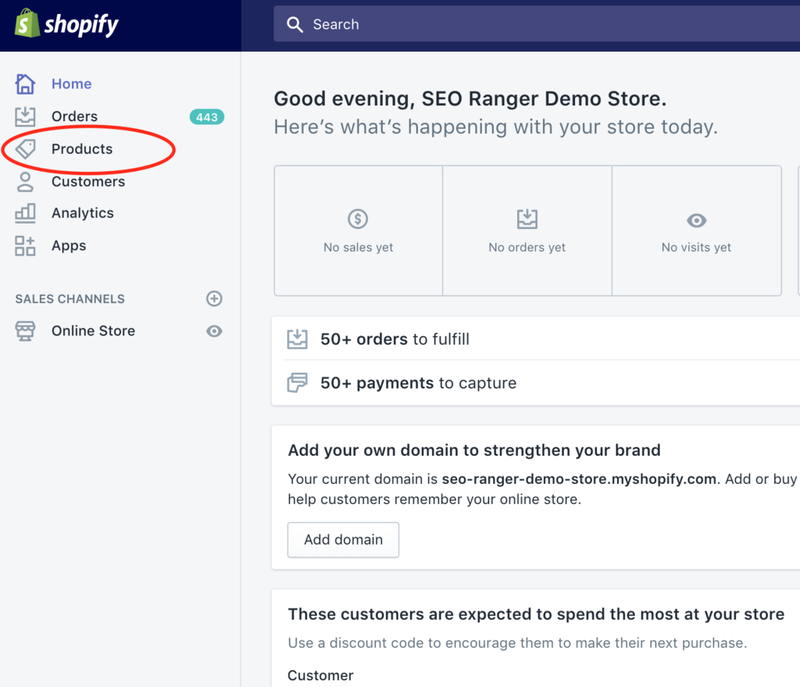 When you create a product, collection, page, or blog post, Shopify uses the title name that you enter to generate an H1 header automatically for that page. The page title is the H1 title tag. These are usually the biggest text size on your page, and search engines use these to find out what your page content is. 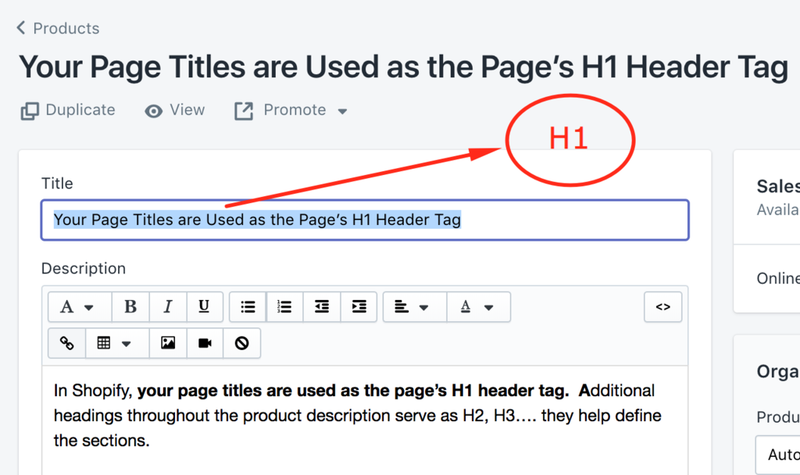 When you’re entering a title, you should be describing your page and entering your main keywords so the H1 header will include those keywords. Different products, stores, and industries will have different formulas for their titles. But most product H1 headings include the product, the brand, the color and who the product is for. By keeping titles short, you’ll be making them readable, 55 characters or less is best. You can always add more additional keywords into your content, page titles, descriptions, and image alt text. If you have many similar products, use different titles for the various products by adding in detail that sets each one apart. The process is the same once you have found the relevant Collection, Blog post or Page. 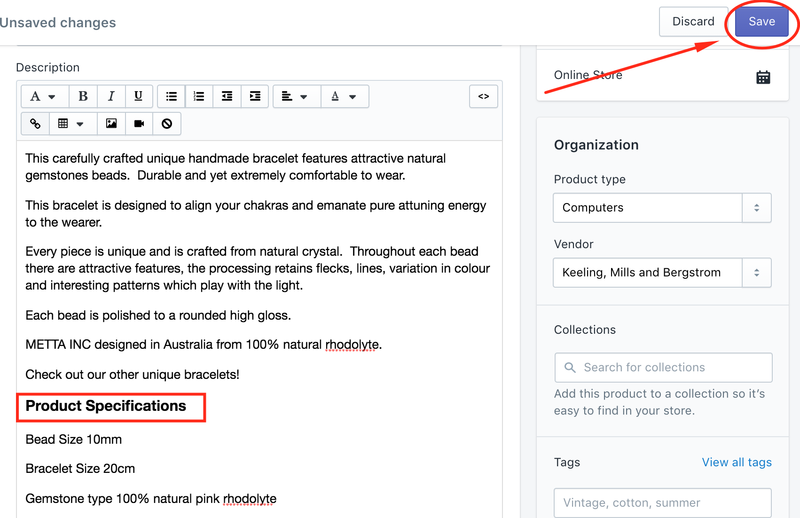 In this example, we will edit the H1 header for a product page. 1. From your Shopify admin, click Products from your menu on the left or go to the section in which you want to edit the H1 header. 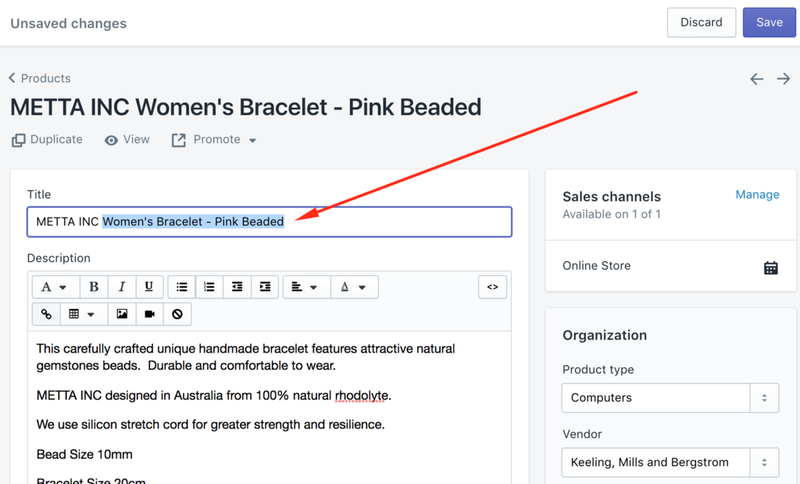 Using the right formatting in your store is helping people read your content, and it’s also allowing search engines determine what content is on your page. Headings are for structuring content. 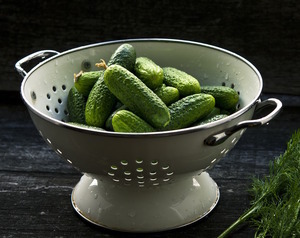 Headings – text that is showing what the page or the section is about, often larger and bolder using these changes the tags in your underlying code. 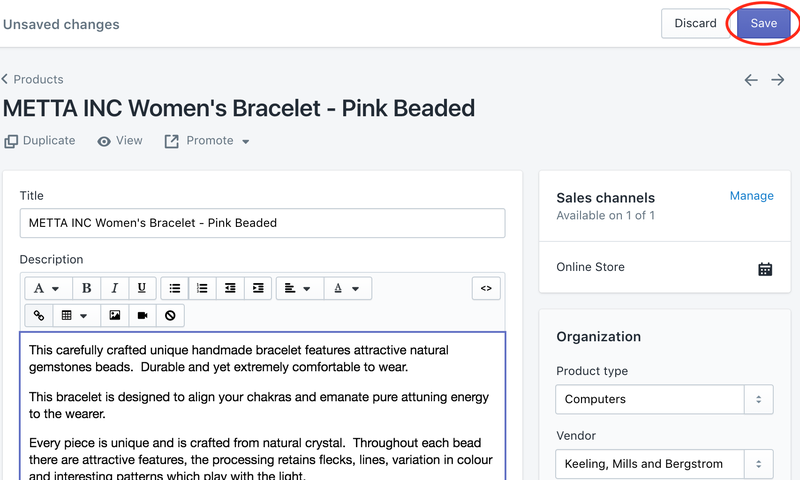 In Shopify, your title becomes an H1 header. 3. From the drop-down menu, select the text type you want the text to become. There are six heading levels. Heading 1 is the most important level and Heading 6 is the least important. Check your website from time to time to see if your header tags are right. You can scan your store using our Uplinkly app called SEO Ranger here. But, What If You Find Heading Errors that Can’t Be Changed in the Rich Text Editor? We often see errors that show multiple H1 header tags, missing H2 header tags or Shopify headings that you can’t quickly fix using the Rich Text Editor. 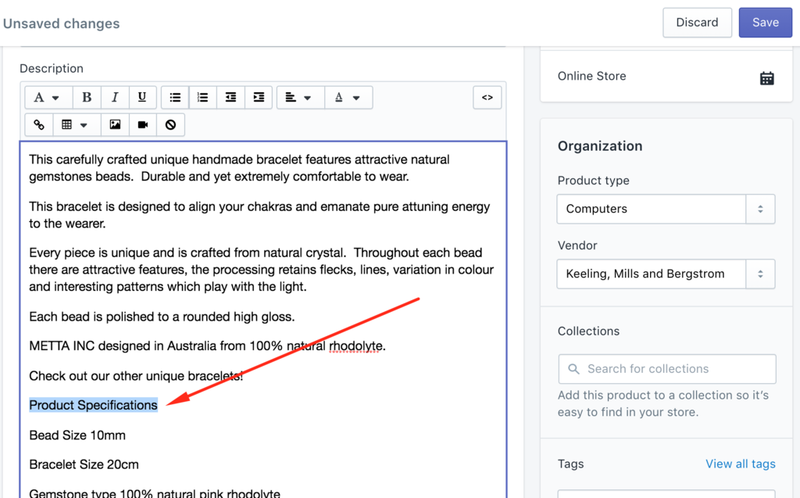 Some headings are embedded into your theme files, or they make up part of a customized element in your store. Occasionally we even see images that have been poorly coded and header tags attached. To edit or remove these you’ll need to use HTML to edit the <h1></h1> in the theme or the relevant app. A word of caution here, you should always back up before attempting any changes. Editing HTML without knowing what you’re doing can cause your page to change in entirely unintended ways or to disappear altogether. The changes you’ll need to make are specific to your theme you’re using that contains the heading. To make changes, you’ll need to open up the theme files and edit tags in the different liquid files with the code in it for example the <h1></h1> or <h2></h2> header tag. If you don’t know what liquid is, or how to edit a theme file HTML, get in contact with us here we have a team of friendly experts ready to answer.